Brand: "nova" 4 Arm Fully Automated Biaxial Rotational Moulding Machine. Best capsule type rotational moulding machine from fine polycraft aurangabad promo. Relying on our vast industry experience and sophisticated facilities, we are engaged in offering quality assured range of Rotational Moulding Machine. 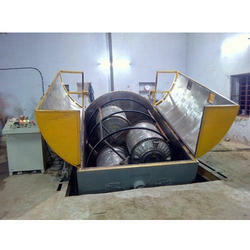 These are offered in varied finishes and capacity range of 10000 liters. We also offer excellent installation and other after sales services for these machines. Bi axial Rotomoulding machine for high production of water tank and other Rotomoulding products. Our company has gained acknowledgement as the affluent manufacturer and supplier of a qualitative range of Rock N Roll Rotomoulding Machines. - For manufacturing of large sized products like boats, kayaks & canoes, large diameter pipes, twin walled pipes, section water tanks, floor panels. § Complete Robust & Sturdy construction for long lasting performance. § Movable Oven chamber; to minimize the heat losses with 125 mm efficient Rock wool Insulation saves the heat energy. § Powder coated Electrical panels with dust proof construction with PLC & HMI. We are involved in manufacturing technically advanced, precised and efficient Fix Oven Roto Molding Machine. 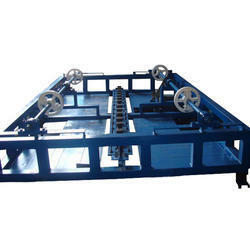 These machines are designed in such way that can be installed in limited space. We offer these machines fitted with robust and carousal mounted arms.